They built a small house for children to grow healthy and tall. 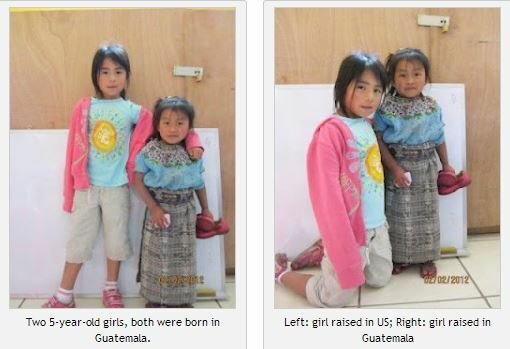 Chronic malnutrition is a big problem in Guatemala, resulting in impaired physical and cognitive development. We know the solution to this issue, including simple solutions such as growth monitoring, vitamin supplementation, or just improving food access. Yet, in places like Guatemala, where the “haves” coexist in a parallel universe to the “have-nots”, hunger often goes unseen, and public unawareness (or disinterest) inevitably leads to inaction. This differs sharply from other campaigns that present very real and uncomfortable images of hungry children. And it worked. The public awareness campaign brought urban dwellers to rural, poor areas, for a weekend stay that later resulted in more exchanges between the two realities living in the same country, as seen in this second video. This successful union between health and design resulted in a second offspring: The Casita, a portable, inexpensive structure. The materials can be easily transported where needed in two pick-up trucks and assembled by community volunteers. 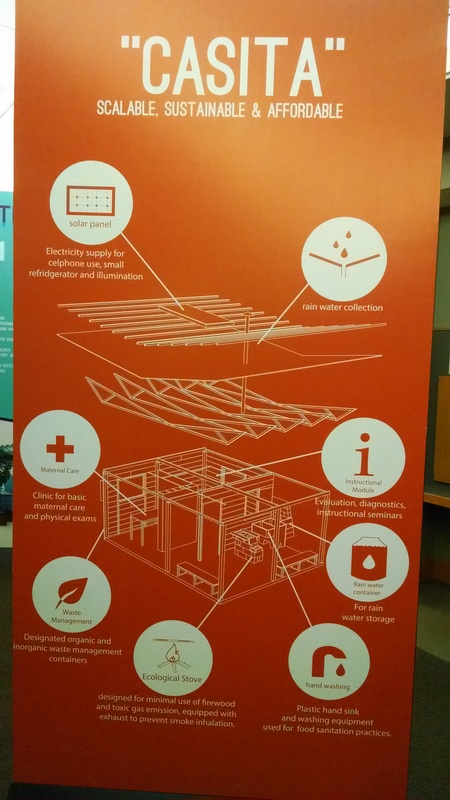 The design came from the minds of architects, seeking to translate health sector solutions to a practical design, addressing maternal and child health needs in the community, based on the 1000 days window of opportunity framework. The Casita is different from your typical neighborhood clinic: Smaller, open, and promises no wait. The house is built with sustainability in mind, featuring solar panels, compost bins, and eco-stoves. Casita in Markala, Honduras. 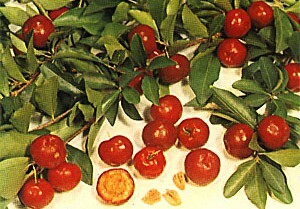 Image from Despertemos Guatemala. 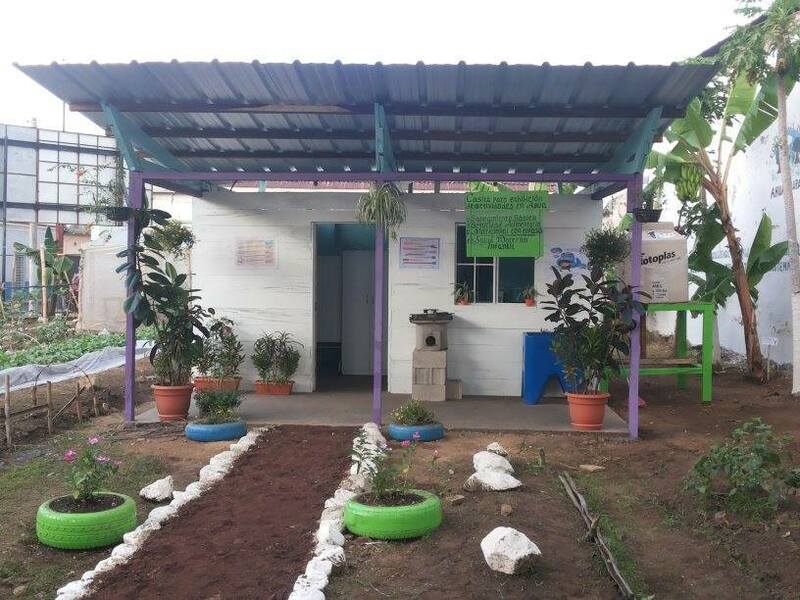 The Casita serves not only as a place for the promotion of better nutrition and health. It is a successful example of multisectorial cooperation and civic engagement. The design focuses on sustainability, underscoring the link between environment and nutrition. Through its open design, the Casitas also promote transparency and allows for a wider reach of the nutrition and health benefits to the surrounding community. It also brings food and cooking to the conversation, with the opportunity to have community gardens nearby and the showcase of eco-stoves as part of the design. Casita in Ahuachapan, El Salvador. Image from Despertemos Guatemala. The Casitas featured above are not in Guatemala. Despite the wonderful popular movement in the country that inspired the Casita, not a single one has been built in this country yet. 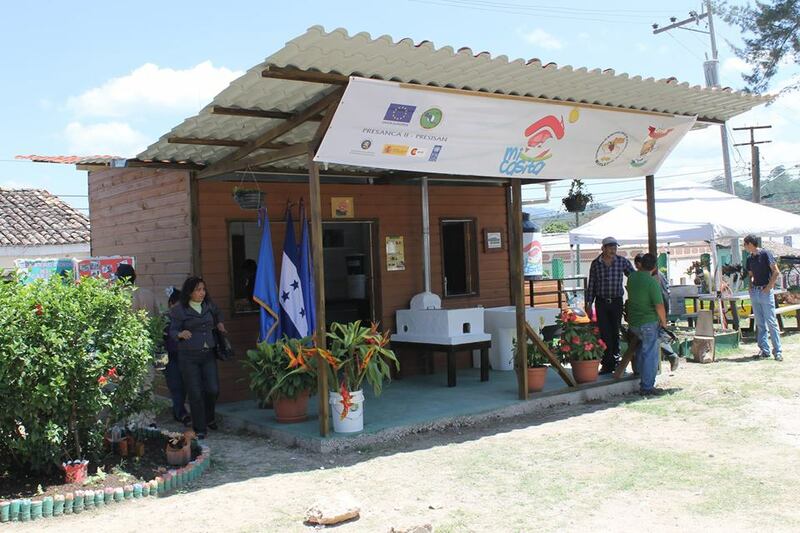 Thanks to a collaboration with PRESANCA (Regional Program for Food and Nutrition Security in Central America), Casitas are being built in neighboring countries. Could this be a case of politics getting in the way? The story continues to unfold… Interested in learning more? Follow the continued effort of Despertemos Guatemala. “A new year, a new you” is the ever present slogan in commercials as 2013 comes to an end. A new year means a new “reassessment” of ourselves, and who we want to be. In concordance to this, weight loss is a very popular resolution in the United States, along with eating healthy, exercise and quit smoking. Health seems to be our personal responsibility, and it is tightly linked to what we eat and what we do in our spare time. My informants were eager to talk about the importance of homemade foods for healthy eating, and talked about the unhealthy eating behavior of “others”. However, in more (rare) candid moments they confessed to their taste for sodas, treating themselves to fast food on special occasions, and the convenience of buying a pre-packaged foods and drinks. As I wrote the article and later finished my thesis, I thought of my own use of industrialized foods, how I have never cooked fresh or even dried beans, opting for the canned variety, or how we season our food with Sazón, Maggie or Knorr, instead of using fresh herbs and spices. I finished my work in El Salvador (along with my thesis) about a year ago. And as it happens to researchers, upon the completion of this work, new questions came to mind as well as a reassessment of my own inquiries. I have become interested in the different perceptions and social acceptance concerning the use of processed, industrialized foods – different notions concerning the modernization of food systems. 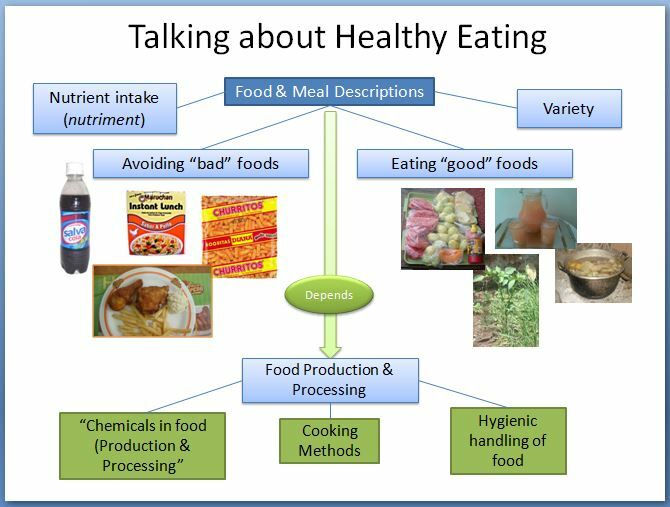 In addition, I am also thinking about the different conceptualizations of “good foods”, where do these come from and how they relate – or not – to definitions of “healthy foods”. By attempting to answer the question of how are healthy foods defined and perceived in contexts of scarcity, new inquiries came up on the the role of food in our lives and the need for more empathy when discussing or teaching what it means to “eat right”.